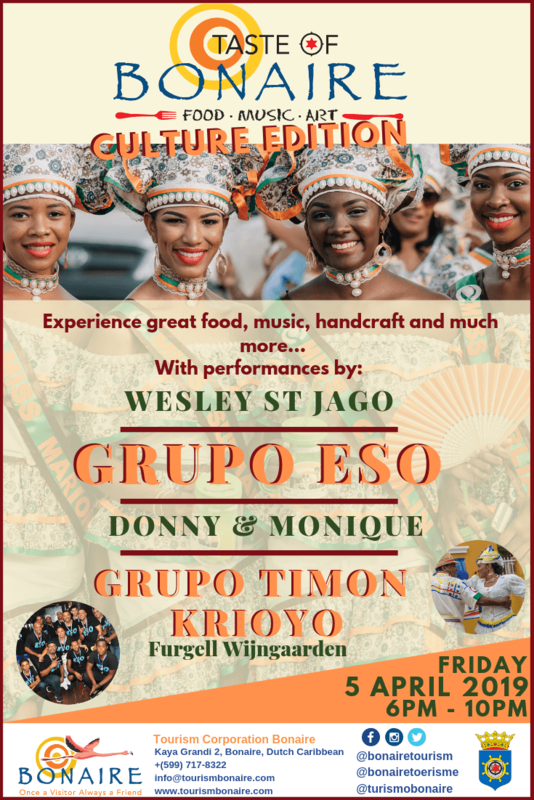 These and more are among the cultural influences that you can taste and experience during the popular “Taste of Bonaire” events, organized by the Tourism Corporation Bonaire. Aside from local and international food, you can meet creative minds that produced souvenirs from true local products, such as goat skin bags, driftwood art, aloe vera products, sea salt and more. These tasty events are accompanied by musical and cultural presentations by local groups and speeches of local VIPs.